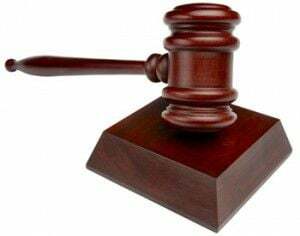 Mexican man here illegally sent to prison after repeated returns to the U.S.
CEDAR RAPIDS --- A Mexican man who used false identification documents to obtain jobs in Bremer County was sentenced Wednesday to more than three months in federal prison. Sergio Castro-Ramirez, 40, a citizen of Mexico illegally present in the United States and residing in Waterloo, received the prison term after a Dec. 17, 2018, guilty plea to two counts of unlawful use of identification documents and two counts of misuse of a Social Security number. At the guilty plea, Castro-Ramirez admitted he used a fraudulent Social Security card and a fraudulent permanent resident card, also known as a “green card,” when he completed Employment Eligibility Verification Forms (Form I-9), state and federal W-4 tax forms, and other employment paperwork on April 2, 2015, and Oct. 18, 2016, at businesses in Waverly and Shell Rock. The Social Security number and the Alien Registration number on the “green card” which Castro-Ramirez claimed as his own were assigned other people. Castro-Ramirez also falsely claimed to be a lawful permanent resident of the United States. In August 1996, Castro-Ramirez was first apprehended by immigration agents for being illegally present in the United States and illegally working in Marshalltown, and was returned to Mexico. Castro-Ramirez was caught by U.S. Border Patrol agents illegally present in the United States four additional times between February 1997 and April 2001, and returned to Mexico each time. Castro-Ramirez returned illegally to the United States and was convicted of operating while intoxicated in Wapello County in 2003. Castro-Ramirez most recently came to the attention of immigration officials following his arrest in July 2018 in Black Hawk County for domestic abuse assault causing bodily injury. On Oct. 31, 2018, Castro-Ramirez was convicted of that offense in state court and was taken into immigration custody on Nov. 1, 2018. Castro-Ramirez was sentenced in Cedar Rapids by U.S. District Court Judge C.J. Williams. Castro-Ramirez was sentenced to 93 days’ imprisonment. He must also serve a three-year term of supervised release after the prison term. There is no parole in the federal system. Castro-Ramirez is being held in the United States Marshal’s custody until he can be turned over to immigration officials. The case was prosecuted by Assistant United States Attorney Daniel C. Tvedt and investigated by Department of Homeland Security, Immigration and Customs Enforcement, Enforcement and Removal Operations. Ah, so we DON'T have an open borders polercy, contrary to what Tweety Iemployillegals tries to tell the ignant and fearful? Whodda thunk that, eh, folks? Yeah, that WAS pretty good. LOL!!!!!!!!!!!!!!!!!!!!!!!!!!!!!!!!! Ahh so you're wrong. That article cites a "Donald Trump" and makes no mention of a "tweety ihireillegals" --- stop embarrassing us eduractors. What did he do wrong? Chuck Schumer and Nancy Pelosi along with most Democrats see nothing wrong with his actions. 'Domestic assault causing bodily injury', multiple counts of Social Security identity theft, repeatedly re-entering the U.S. as an illegal alien, etc. He'll be back again after his deportation, probably just in time to vote. Pretty tough to condemn those folks, when NONE of them have hired undocumented Americans, while Tweety Ihireillegals does.